When you are ready to commit to the one you love you have the opportunity to join . . . . 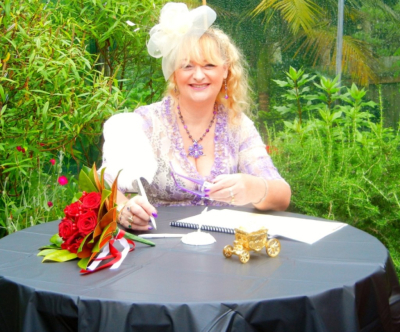 Renewal of Vows is a magical time to renew those commitments you made to each . . . . 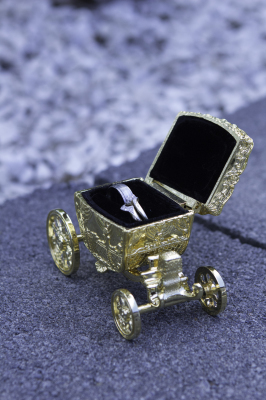 So you are remarrying with older children, what better time than the wedding . . . . . . Whether new borns or older children blending into a new . . . Anyone can hold a funeral service and this is an opportunity to . . . So often your grief is not recognized when you lose . . .
A precious wedding is a sacred chalice for your love, an elegant frame for the portrait of you and your beloved as you are united by high hopes, profound emotion, and a desire to honour your relationship by expressing it as a commitment made in the presence of those precious to you. In creating your precious wedding, you recognise that not only is your wedding a symbol of your love, but also that it can be a deeply moving experience for everyone involved. Use this process with Raine as an occasion to deepen your relationship, to work through whatever conflicts may arise, to appreciate one another for the various talents you each bring to the project It's about your love - what it means to you, where you want it to take you, and what hopes you have for it. Fashion your wedding in such a way that it truly reflects the uniqueness of your relationship. Your personalized wedding symbolizes and celebrates an emotional and spiritual bond. 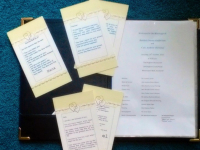 The deep emotional bonds that bring two people together create the commitments shared at this sacred moment The task of planning a ceremony is a process of discovery, an opportunity to grow. May you find joy in creating your ceremony, may it represent very special emotions that will carry you on their wings throughout the unexplored journeys you are about to take together. Precious moments, precious commitments, precious memories - they all deserve recognition. 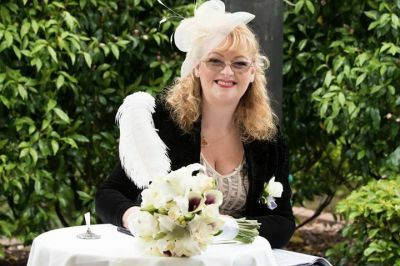 Several years of experience has taught Raine that whatever the Celebration, you need a ceremony that will carry the unique and beautiful meanings that you want to express and to hold. To have the experience of creating something that is a reflection of your needs, Raine is available to choreograph unique celebrations that reflect the unique personality of each individual. 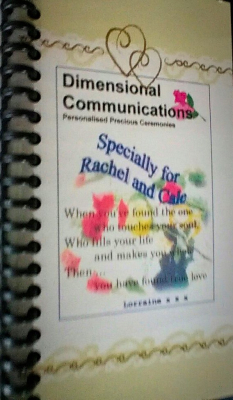 For a celebration that involves a Commitment Ceremony, Namegiving Ceremony, Pet Memorials and Funerals contact Raine now.